During the First World War, two French soldiers are captured and imprisoned in a German P .O.W . camp. Several escape attempts follow until they are sent to a seemingly impenetrable fortress which seems impossible to escape from. 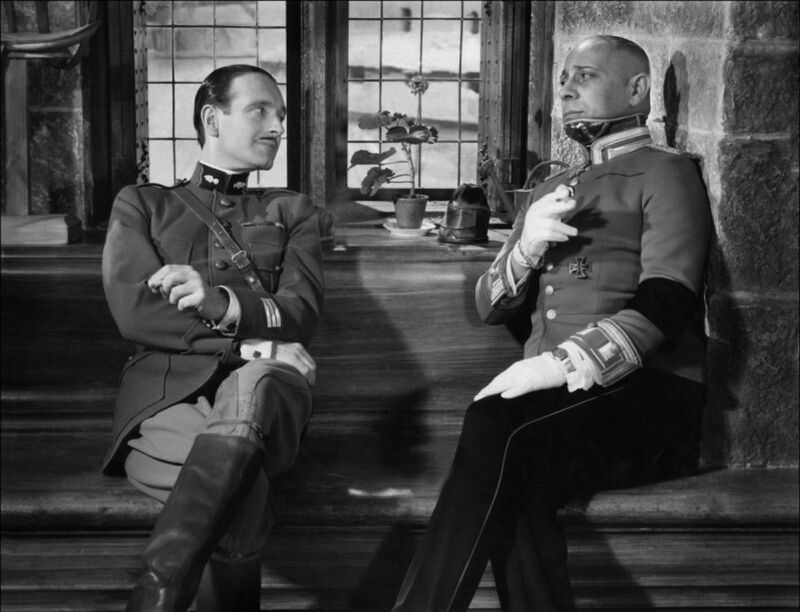 Jean Renoir’s antiwar masterpiece stars Jean Gabin and Pierre Fresnay as the French soldiers and Erich von Stroheim as the unforgettable Captain von Rauffenstein. Considered one of the ﬁnest of all anti-war ﬁlms and a cinematic masterwork. Other ﬁlms oppose war by showing its horror whereas Renoir holds the horror at arm’s length to give us a clearer view of it.